Under the HACCP programme, sub-systems such as pest control, hygiene and sanitation need to be developed and implemented. Critical control points can be managed by appropriately trained in-house staff, providing for a truly hands on quality management system at every point. All storage areas can be maintained to a standard required. All equipment, training and necessary records are provided. No requirement for confined space entry and total safety. Cleaning and alleviation of any potential build ups can be done immediately by your own trained personnel. Scheduled cleaning programmes can be altered to coincide with production or supply logistics on a day to day basis. 24 hr, back up service via phone, fax or email to assist in any unusual problems. A continuous cleaning programme lessens the requirement for pesticide usage. The cost and inconvenience of employing contract labour is eliminated. Where interruption of product flow delays production, instant access to the system ensures minimum delays in returning to flow. Cleaning can be done between product changes in bins to eliminate cross contamination. As stockfeed production is tied to a batch weigh process, constant flow of fresh clean product is essential to maximise production and profit. 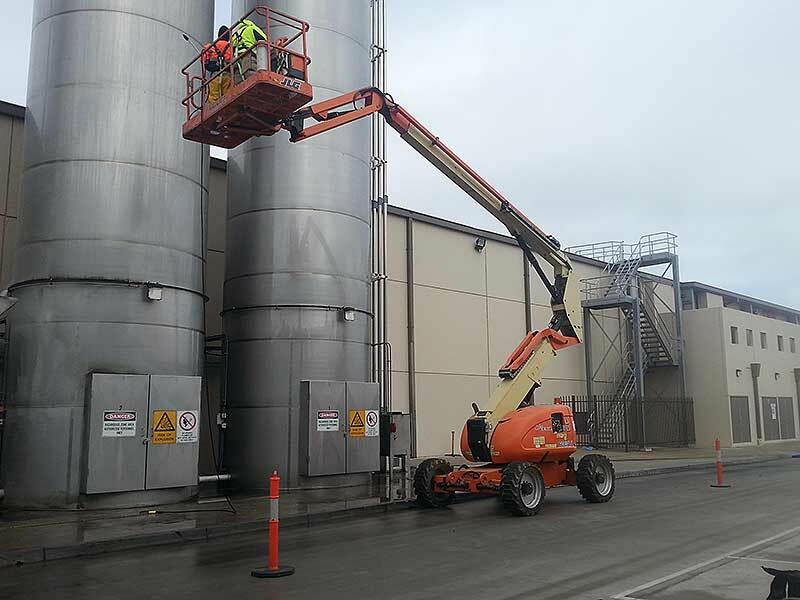 Due to the nature of some product ingredients, it is inevitable that some flow delays occur, however, regular cleaning of silos and bins should ensure that such delays are minimised and the usual resort to hammering the bin cones, which only compounds the problems in the long run, eliminated. In non food industries, the main advantage is optimising bin capacity, elimination of build up and potential blockages, opening up “rat holing” etc. The availability “in-house” of a proven System operated by trained personnel enables scheduled maintenance plus emergency response as required, to ensure top production.